Los Angeles, CA-July 2018... Whether playing guitar and songwriting for prog rockers BangTower and other bands, working on hit films like My Big Fat Greek Wedding, or engineering for such artists as Steve Vai, Steve Lukather, and Larry Carlton, Grammy Award-winner Neil Citron is valued for his musicality and his ears. 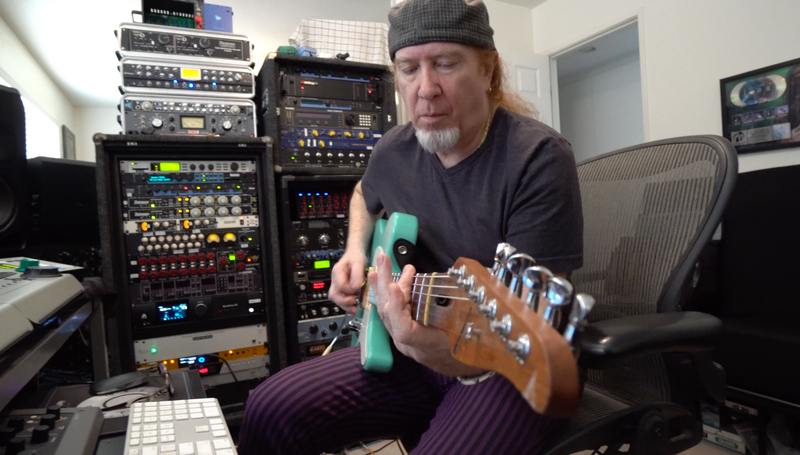 He has taught actors to play music for films, including coaching Meryl Streep for Ricki and the Flash; played in, wrote for, and more recently engineered for Quiet Riot; produced at and ran Steve Vai's The Mothership studio; and countless other credits. Recently, Citron has become a big fan of TASCAM's DA-3000 stereo master recorder and ADDA converter. "When TASCAM came up with the DA-3000, for me, it was perfect because I record in an analog world," he relates. "There are two ways to mix a project," Citron instructs. "One is to make sure that the high things don't slam. But the other thing, which a lot of people don't do, is making sure the low things come up, so that they don't get lost. And that only happens if they get recorded at a frequency where you can hear them. You record drums, you record bass-even metal stuff, the guy's got his guitar just ripping your head off but there's dynamic range in every note that he plays, and you have to capture it. Every little thing is important for that beautiful, lovely, warm, wonderful sound we all work to get. Going into the TASCAM DA-3000 analog, it's capturing exactly what I'm hearing, with no coloration." TASCAM's DA-3000 records analog and digital signals up to 192 kHz PCM or 5.6 MHz DSD. It offers a wide variety of balanced and unbalanced inputs and outputs for connection with audio interfaces, mic preamps, and more. The front panel presents all necessary controls, as well as metering. You can even synchronize multiple DA-3000s for DSD multitrack recording. A dual mono structure for the output circuit eliminates interference between the left and right channel. The internal circuitry uses a fully balanced structure to eliminate input and output noise, combining with Burr-Brown ADCs at the inputs for outstanding audio quality. "The thing about great recordings is that you can hear these details," observes Citron. "I call it the 'wool' that's between the guitars and the bass. You really capture the 'wool' with a one-bit DSD recorder, and TASCAM does it better than anybody. Recording one-bit with the DA-3000 is even better than recording at 192 kHz. It's really pristine and beautiful."